Statoil (ticker: STO) reported the results of its first well in the Korpfjell prospect, an exploratory well in the Barents Sea. The Korpfjell prospect is a large structure in the Norwegian section of the Barents Sea, well within the Arctic Circle. 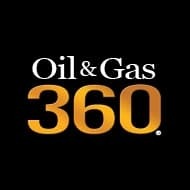 According to Lundin Petroleum (ticker: LUPE), which holds a 15 percent stake in the prospect, the project could contain more than one billion BOE gross. The structure is three to four times larger than Johan Sverdrup, one of the largest fields on the Norwegian continental shelf. However, the first well drilled into this prospect has not lived up to expectations. The exploratory well encountered gas, indicating 210-420 Bcf of gas recoverable. While this result might trigger development in some areas, gas commercialization in the Barents Sea would be very difficult. The closest land to the prospect is the tiny island of Hopen, 250 miles away. The northernmost tip of Norway is nearly 260 miles away, meaning developing a gas prospect would be a significant endeavor. With this in mind, Statoil and its partners will plug and abandon this well and analyze the data collected. ”Korpfjell is a structure of a size seldom seen on the Norwegian Continental Shelf and has attracted much interest, and the results of the first well in this frontier area of the Barents Sea have triggered broad and strong expectations. For this reason, it has been important to us to complete this drilling.